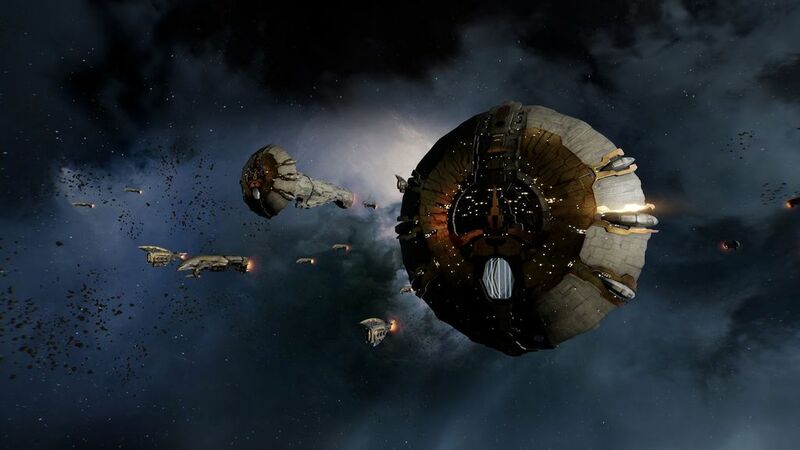 21 March 2019 – London, United Kingdom - London-based tech start-up Hadean and CCP Games, the creators of the in-depth and uniquely player-driven spaceship MMO game EVE Online, have successfully hosted a battle with over 10,000 ships taking part, through their EVE: Aether Wars tech demo. 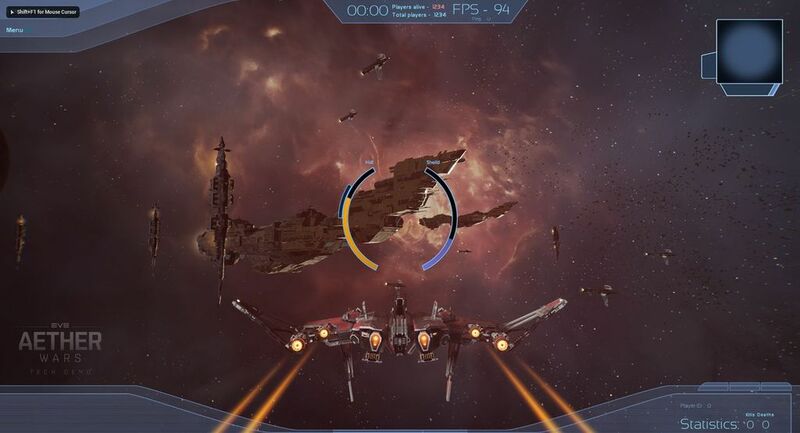 Taking place live on the first morning of Game Developers Conference in San Francisco, 3,852 players from across the globe battled each other for an hour in EVE: Aether Wars, with AI-connected clients joining the clash and pushing overall ships total to 14,274. Concurrent combatants peaked at 10,412, but it wouldn’t be a battle worthy of EVE Online without an epic list of casualties and EVE: Aether Wars didn’t disappoint, with 88,988 ships destroyed. It is a huge milestone in the EVE: Aether Wars project between Hadean and CCP Games, as part of the continued drive to explore the future of large-scale multiplayer simulation. EVE: Aether Wars was created to showcase the power of Hadean’s Aether Engine, the world’s first distributed simulation engine. Powered by Microsoft Azure, the Aether Engine allows developers to seamlessly scale their applications at increased speed and ease across the cloud. CCP Games provided Hadean with EVE Online and EVE: Valkyrie assets for use in the EVE: Aether Wars tech demo, along with its own industry-leading games development expertise. This allowed Hadean to focus on solving the technical challenges faced by developers within large-scale online multiplayer environments. The ongoing collaboration between the two companies will seek to explore the potential for substantial changes to the technical infrastructure of EVE Online. The EVE Online community currently holds the Guinness World Record for “most concurrent players simultaneously involved in a single multiplayer PvP videogame battle” with 6,142 players on 23rd January 2018. Hadean will host an ‘offline’ version of EVE: Aether Wars at its stand, S366 in South Hall, for the remainder of GDC. 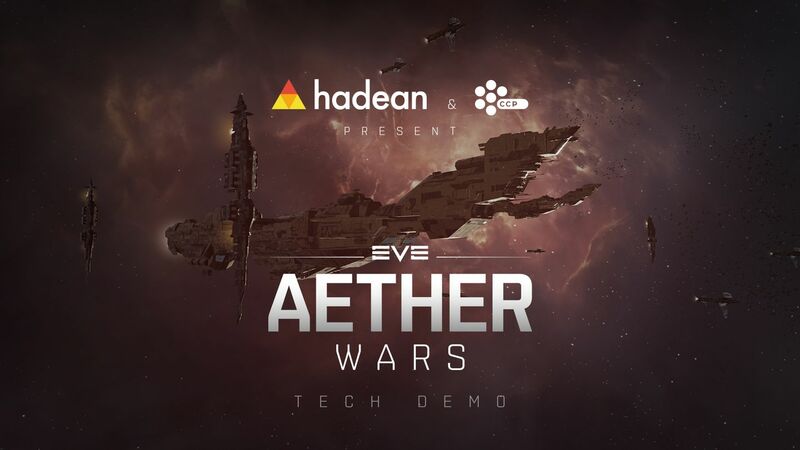 This will enable players to get a feel for how the technology works as they battle against hundreds of AI-controlled clients and against the other EVE: Aether Wars station at Hadean’s stand. Attendees will also have the opportunity to chat with the engineering team behind the Aether Engine, who will be on-hand to answer questions about the project and Hadean’s technology. For further details on Hadean and the Aether Engine, visit www.hadean.com and www.aetherengine.io. For more information about CCP Games and the EVE Universe, visit www.ccpgames.com/products. CCP is a leading independent game developer that has been praised for its artistry, game design and unique player-driven, infinitely scalable storytelling narratives. CCP is the creator of the critically acclaimed space MMO EVE Online (PC/Mac), EVE: Valkyrie, a competitive multiplayer first-person spaceship shooter for PCs and PlayStation®4, Sparc™, an original virtual sport for PCs and PlayStation®VR where players’ VR hardware serves as their sports equipment, and the Gunjack™ series, VR arcade-action games for PCs, PlayStation®VR, Google Daydream, and the Samsung Gear VR mobile platform. Founded in Reykjavik, Iceland in 1997, with additional offices in London and Shanghai, CCP is an independent subsidiary of Pearl Abyss, the creators of Black Desert Online. For more information, visit www.ccpgames.com.